HYDERABAD, Aug 16: In two separate acts of sabotage, portions of railway tracks were destroyed when bombs exploded on up and down tracks in Kotri and Nawabshah early Saturday morning. The blasts were heard far and wide and created panic in Nawabshah, Kotri and adjoining areas. However, no loss of life was reported. Unidentified saboteurs planted two bombs on the rail track opposite Habib Sugar Mills, about half a kilometre from Nawabshah Railway Station, which exploded at 5am. Eight inches of up track and 11 inches of down track were destroyed in the explosion. The traffic was suspended for several hours. Railway personnel were called from Sukkur who repaired the tracks. 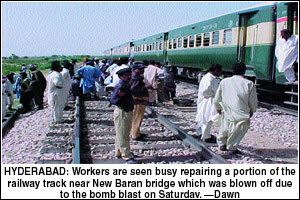 The Rawalpindi-bound Tezgam Express had passed on the railway line just a few minutes before the bomb blast. Faisalabad Night Coach and Karachi Express were stopped at the Daur Railway Station. In the second incident, bombs placed on the railway line at the New Baran railway bridge near Bholari, Kotri, exploded at about 6am, destroying portions of up and down tracks. Initial reports said the explosives, weighing 600 grams, were locally made. The arrival and departure of Shalimar, Awami and Shah Latif were delayed. 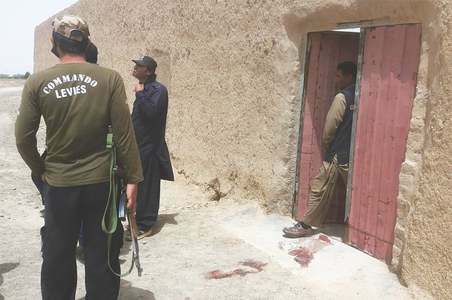 Police constable Mohammad Yousuf Bholari of a checkpost of the Jherruk police station, after hearing the sound of the explosion, rushed to the spot with three other policemen and stopped Khushhal Khan Khattak Express by waiving a piece of red cloth. Other trains were halted at Jhimpir, Jungshahi, Tando Adam, Hyderabad and Kotri railway stations. Some time before the explosion, the Karachi-bound Karakoram Express had passed on the railway line. Shalimar Express and Shah Rukan Alam Express were stopped at Bholari. The Additional Inspector-General of Police, Hyderabad, Ghulam Mohammad Malkani, railway engineer Abdus Sattar and other officers rushed to the spot. The railway traffic was restored after four hours. The AIGP told Dawn that the bomb blasts in Nawabshah and Kotri were acts of sabotage and terrorism, probably by the same group. Bomb disposal squad official Rizwan Zaidi said tracks between Hyderabad and Kotri were searched and cleared. He said explosives were kept over the tracks. Our Thatta correspondent adds: A portion of the railway track was thrown some 80 feet away after the explosives went off, only minutes after the Karachi-bound Karakurrum Express left. The bomb disposal squad collected pieces of the explosives. ASP Nisar Virk along with Peri (foot trackers) and local experts started search for suspects in nearby villages. Meanwhile, Sindh Local Bodies Minister Mohammad Hussain, describing the incident as an act of sabotage, said it was a part of a conspiracy by the anti-state elements to destablize the government as was the killing of people in Karachi. Talking to journalists in Thatta, he said these elements would never succeed in their designs. Our Nawabshah correspondent adds: The traffic remained suspended for more than seven hours following the bomb explosions on up and down tracks near the outer signal of the Nawabshah railway station. The destroyed portions of the tracks fell on nearby houses. Nawabshah DPO Dr Ghulam Sarwar Jamali and officers of intelligence wings and law enforcement agencies reached the spot. The police collected pieces of the devices. Sukkur Railways SSP Khalid Farooq Mirza, who reached Nawabshah from Sukkur, said the police were investigating the incident. He termed it a terrorist act. PATROLLING: The Railway authorities ordered on Saturday the patrolling of rail tracks across the country in the wake of explosion which damaged a small portion of the rail track on the Nawabshah and Pajeeri section in Sindh, reports APP from Lahore. 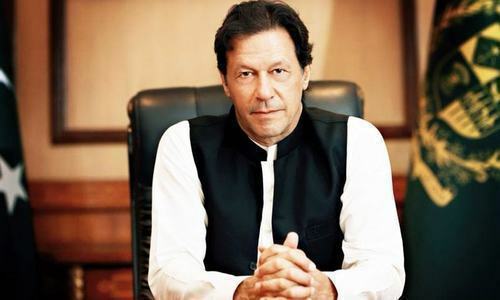 According to a Railway press release, General Manager Aurangzeb Khan also directed that elaborate precautionary measures be taken to avert the recurrence of such subversive activities.